Over 60 years ago Cantarella Bros Pty Ltd, now trading as Vittoria Food & Beverage, began as a family business importing Italian products like mineral water, parmesan cheese and pasta. However, when it came to coffee, we knew that coffee tastes best when it's fresh, so in 1958 we began roasting in Australia. 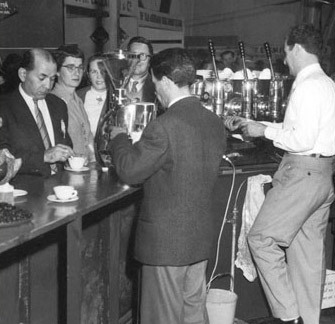 Since then, we have passionately driven the growth of espresso coffee and pioneered the development of an Australian café-culture. For the early part of our history, our products were sold only through foodservice with Sydney's cafés and delis among the first outlets to stock our products. Soon after, our customer base grew alongside the growth of Italian culture and cuisine to then include restaurants and hotels. In the 1980's, our brands began appearing on Australian supermarket shelves. Our products soon became widespread across parts of Asia and the Americas, with other continents following. Today, our company has evolved from an importer of European brands to a truly global player, selling our brands all over Australia and exporting throughout the world.